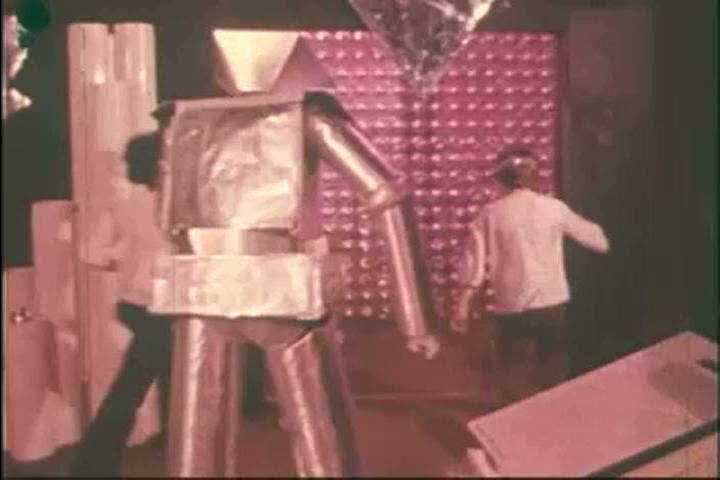 sd00:36CIRCA 1970s - A robot in an imaginary future fights with some comedic soldiers to give children time to run in 1978.
hd00:14UNITED STATES 1970s: Close up of Lego pieces moving / Boy and girl with Lego structure / Girl's hand turns Lego piece around, pan to structure moving. 4k00:11AMES, IOWA 1958: blowing the candles out on a cake at your party. hd00:25UNITED STATES: 1981: Astronaut safely stows items away inside shuttle. View of Earth from space shuttle. Two astronauts do somersaults inside space shuttle cabin.